On-site parking available as well as complimentary valet. Live music on First Friday art events. 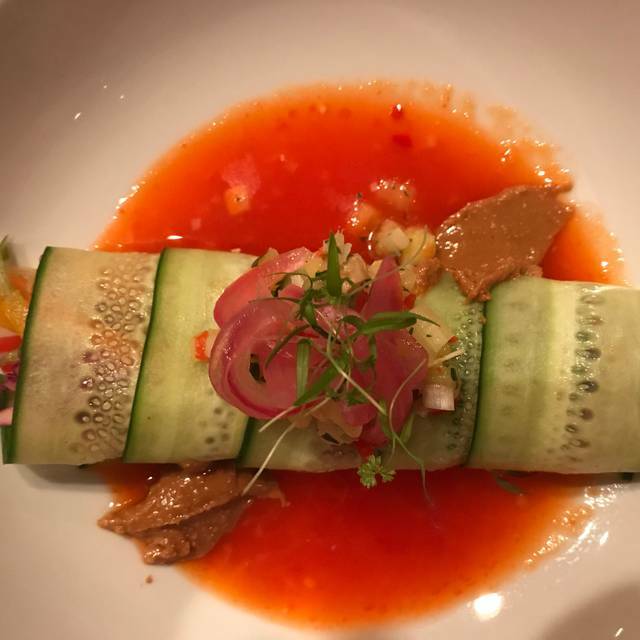 Whether you're setting the stage for an elegant wedding or planning a casual cocktail party, Chef Gwynn and his team strive to provide the freshest and highest quality local ingredients for your personalized menu. Cypress, a member of Florida Trend Magazine's Golden Spoon Hall of Fame, features sophisticated Southern regional dining in a metropolitan setting. The creative and well-executed menu features fresh, in-house preparations with chef-cut meats and seafood, locally grown produce and an extensive wine list to match. 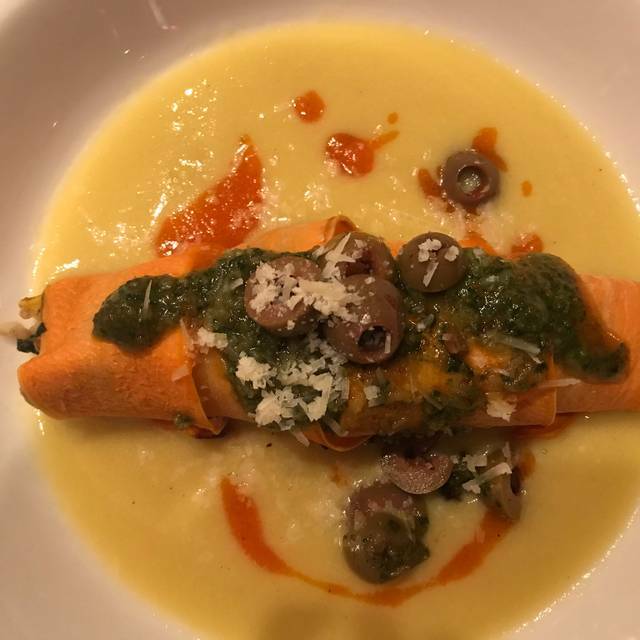 Locally owned and operated by chef/proprietors David & Elizabeth Gwynn, they make every effort to provide the guest with an exceptional dining experience. We always have an excellent meal at Cypress. The service is great; staff go out of their way to accommodate individual dietary requests, and the surroundings are quiet and enjoyable. A wonderful choice for a special occasion or just a great dinner. Just not impressed, ambiance was subpar, poor service at first, no hello or acknowledgement. The chairs were wonky, the both we were seated at was falling apart - it looked like a cat clawed the seats with the way the string were shredded on the back cushion.. overall would never go back.. okay food, cheap and tattered decor, subpar service.. There was glitter on the table for my friend’s birthday, which was perfect! 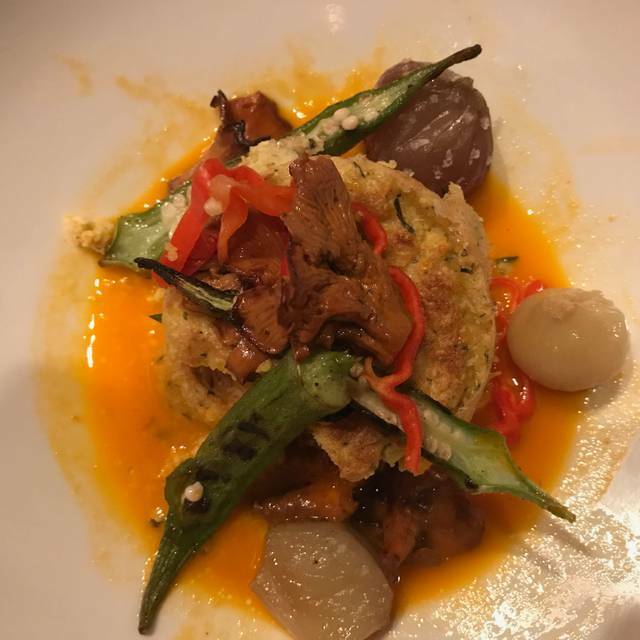 It was so refreshing not to need to scour the menu for a gluten free option; nice not to have to ask the chef to revamp a dish! Salad was amazing, & the shrimp & grits in a Vietnamese broth was a delicious new twist of a favorite dish! Topping off the meal, that was JUST THE RIGHT SIZE LADIES’ PORTION, was the decadent flourless (GF) chocolate cake & homemade ice cream! Bin Appetit! I had a cocktail, a glass of wine, and the low country bouillabaisse. I also ordered the sweet potato fries. Everything was absolutely delicious. The service was good as well. I would definitely return. Amazing service at the bar and table. Excellent food! For my money Cypress is the best restaurant in town. Never disappoints. My wife likes it even better. It's not an everyday restaurant for the average person due to cost. But for a special occasion there's just no better food anywhere around here. The staff are all efficient, friendly and helpful. Decor is attractive and interesting. It's a somewhat small floor plan, so the tables aren't super private/intimate - possibly the only thing I might change about the place. But not everyone prefers their restaurant that way. Regardless, it's not loud or obnoxious in there, and it never keeps me from enjoying my visit. Cypress was an amazing experience for us! We went all out - ordering a cheese board, chicken liver appetizer, 2 entrees and a dessert. Everything was great, and the service was impeccable. I think we had 3 different people checking on us, so we never went without. It was expensive, but we ordered a lot so that we could try it all out, so it is what it is. Highly recommend it. Delicious food, and wine, very good service. Only complaint, seating and noise. We were seated in the middle of a row of empty tables, then a loud party of three was seated next to us. Unnecessary. Thank you for initial professionalism and for sending us back to Food Glorious Food. S/O Rach! Great food and great service. Always consistent and enjoyable. Great meal. Solid noise level but great service and nice wine selection with the creative eats. Food was excellent but took over an hour to get our salad. Our server stopped by several times to say she was sorry but the kitchen was busy. The ribeye dish was out of this world good and a nice portion size (plenty of food). Shared three small plates. Good selection of wine including by the glass. Professional service. Offered to split plates in kitchen. Food was excellent. Would certainly return. Highly recommend. The food was wonderful. We went for my huband's birthday and they had placed Happy Birthday confetti around the candles in the center of the table. It was a nice added touch that made my husband smile. We will definitely be returning very soon. All of our dishes, from appetizers to desserts, were delicious! And we all tried different entrees. We had a pork chop, steak, and diver scallops and all were mouth-watering!! We are regulars but every time we go lately it gets better and better. Always a good time. Really great with a young child in tow. Best upscale restaurant in town. The steak is tender juicy and flavorful, the new Zealand wine is delicious. The oysters and biscuits are really good, the cheese selection is excellent. I don't think you can get a better steak except for maybe at Marie Livingston's in Tallahassee. The staff is also very courteous and attentive. We visited Cypress for Valetine's Day dinner and were blown away by the great food and impeccable service. They offered a limited menu but every dish we tasted was absolutely delicious. We opted for the wine pairing and the wines were a perfect compliment to the menu options they were paired with. Our waiter, Mike, explained each wine selection and how/why it complemented each dish. Mike was attentive without being obtrusive and made us feel welcome and appreciated. Other members of the staff were equally attentive. If a plate was finished, any staff member who happened by would remove the plate promptly. None of the "it's not my table attitude" you've come to experience in so many restaurants these days. 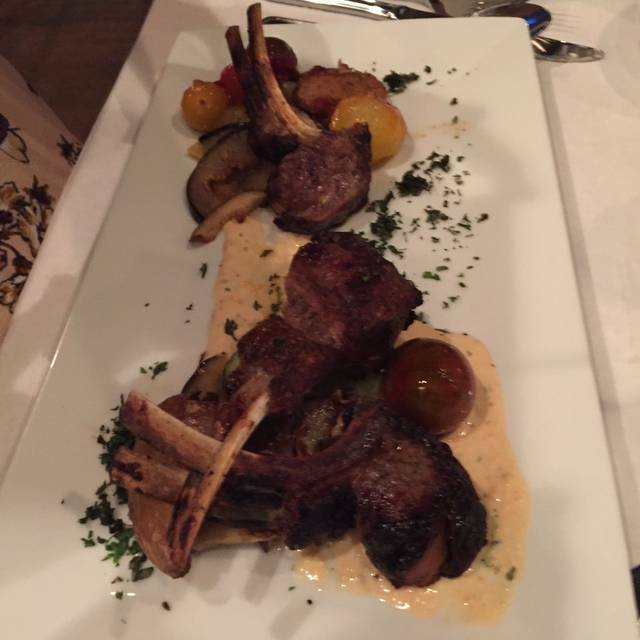 We highly recommend Cypress for anyone looking to enjoy fine dining at reasonable prices in Tallahassee. Very enjoyable evening although the tables are very close making the noise level a little louder than we would like. But the food made up for it. This was one of the most excellent meals that I have had anywhere in the world! Starting with a cheeseboard that had very high quality cheeses to go with the bottle of wine we ordered. Followed with a boulibaisse that was amazingly delicious. It had a little southern flare to it. We had the rainbow trout with an exquisite sauce and grouper cheek, which was likewise delicious. 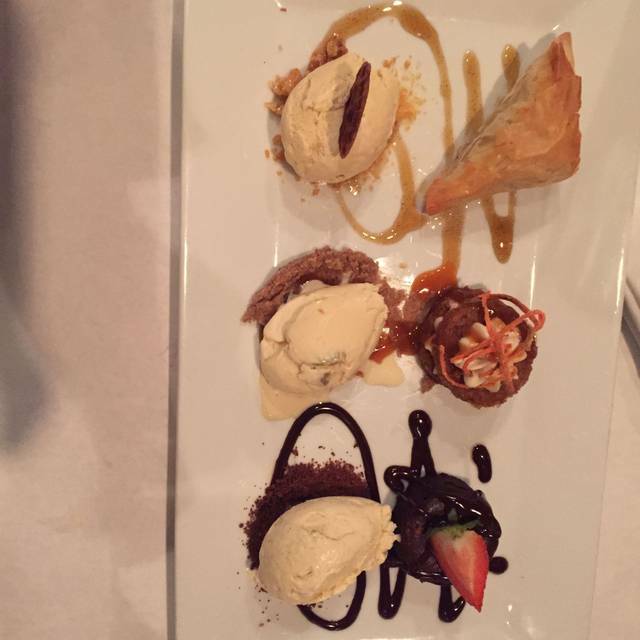 Finally, the dessert sampler. Each one was tasty very light and not too rich. The service was equally amazing. 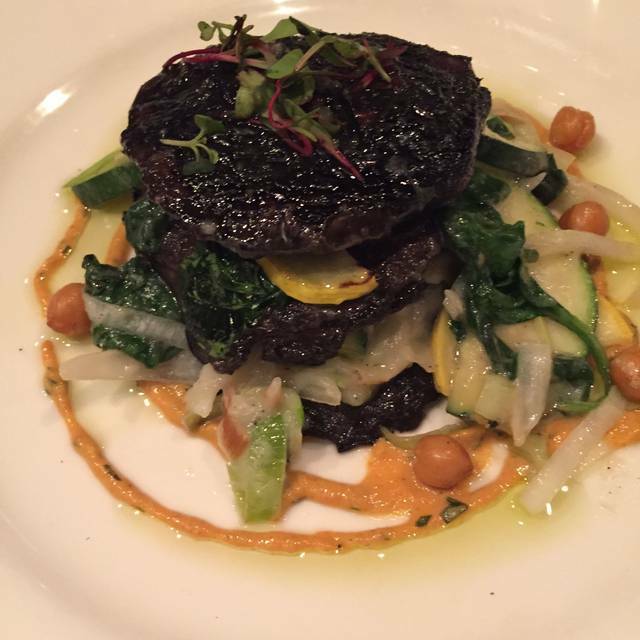 Our server, Jillian, was on top of everything, very knowledgeable, not afraid to recommend and very very attentive. I highly recommend this place. This restaurant is just ok. From the food to our services to drinks. Definitely causal attire is ok and may be a better lunch spot. This was our first time and we both agreed it would be our last. Too many other options in Tallahassee that offer amazing experiences. Outstanding and friendly service, great wine list and sommelier plus innovative and delicious take on “southern” cooking (although as a Brit I’m no expert😁) heartily recommended. Lovely evening. Thank you very much. I travel infrequently to TLH, but this a gem that will I do my best to make time to visit on future trips! 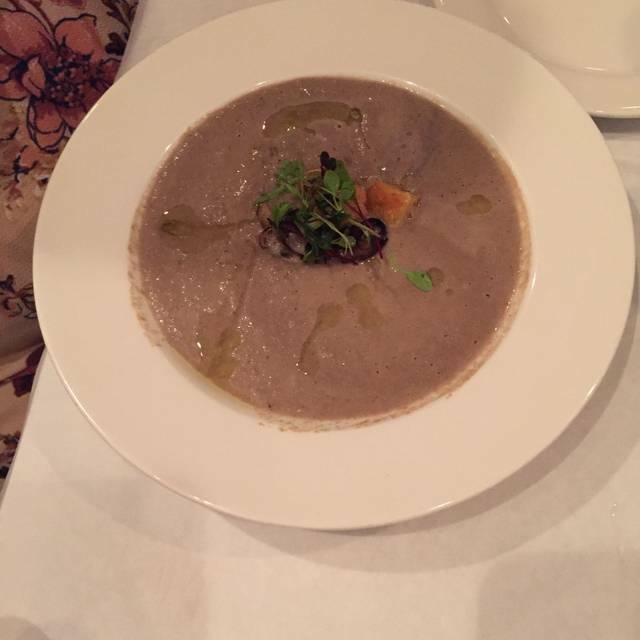 I really appreciated the accommodations the kitchen was willing to make on the wild mushroom soup, which would have been just as delicious if not more with dairy in it as well as out as I had it. We did not have time for dessert, but will make room to try some at a point in time in the future. The service was attentive without being overly so - we all know what that looks like! - and very knowledgeable as well as genuinely gracious. From start to finish, we had an excellent meal to celebrate a friend’s birthday. Server was very knowledgeable. Food was amazing. The restaurant was celebrating local farms and lots of dishes used locally grown produce or locally raised meats. It is our go to place for special occasions, brunch or just a glass of wine and an appetizer in their excellent bar. The food was absolutely outstanding. Drinks are very expensive, but the food is well worth the price. Will certainly be back. Our server was excellent. I think it was Kevin, although I could be wrong. He made our night spectacular. 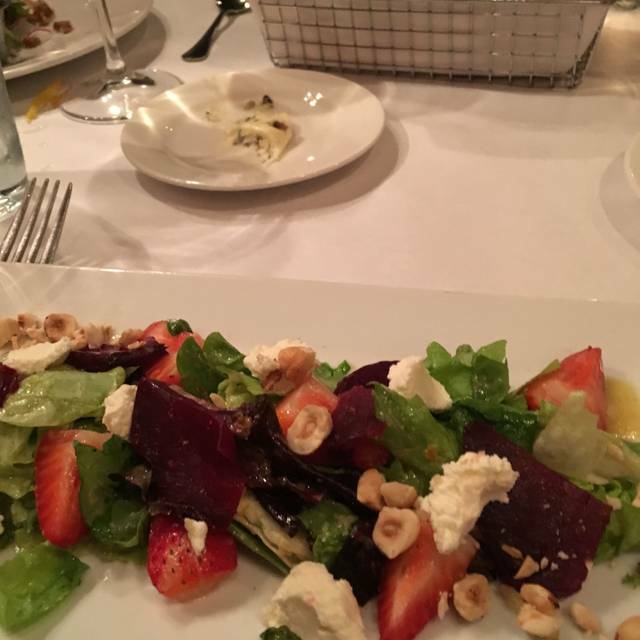 The Cypress restaurant is a great place for a delicious dinner. I especially enjoyed the salad with the crispy prosciutto. The oysters and biscuits were delicious. The hanger steak was a little tough, besides that it was great. I highly recommend this restaurant. Great service and very good food, with pleasant, calm lighting. Scallops and risotto were delicious. My friends and I dined lightly with soups and salads and they had dessert. Some of the prettiest and most interesting salads I have ever seen or tasted. 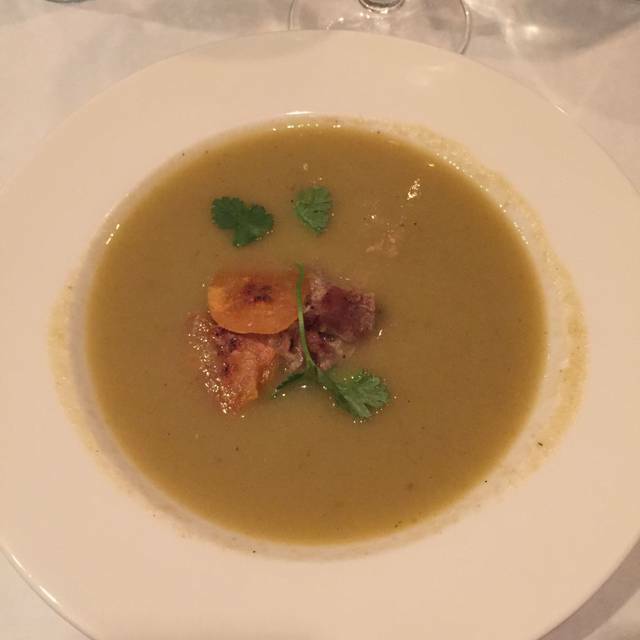 And we all remarked on how delicious the soups were.